Geometric Patterns is the first book in my series of mini colouring books for adults and older children. 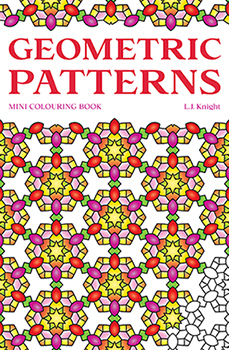 It is a travel size version of the full size Geometric Patterns book, and is perfect for colouring on the go. Geometric Patterns Mini is also available from Amazon’s international sites, and other retailers. Below you can see previews of all the images in Geometric Patterns Mini Colouring Book. Just click the thumbnails to enlarge.